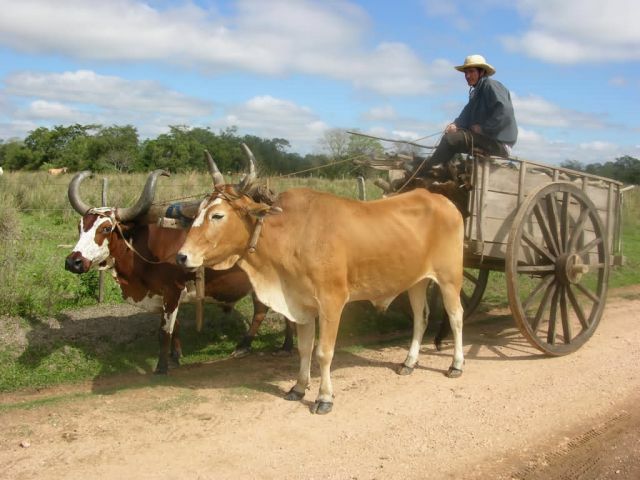 Ox-pulled carts are still used on rural dirt roads in Paraguay. The oxen push against a rough log laid in front of their withers. Large wooden wheels work well on dry roads. The ÃeembucÃº Region is typified by extensive grasslands and wetlands. Near 26Â°34â52ââS, 56Â°49â18ââW.